Took a photo of this recently at the Airshow 2000. You don't get to see such number plates in Singapore often. It's a special prefix number. 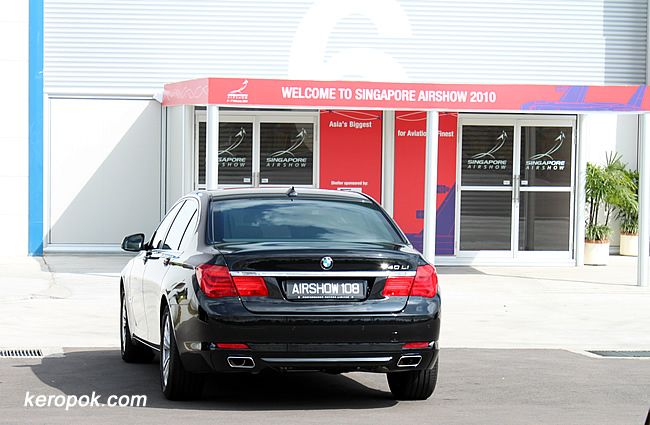 "AIRSHOW 108" - Nice number plate ya? If you are wondering how the Singapore Number plate works and a bit of its history, you can read about it here. I saw a few BMW with license plate beginning with "HSBC" few days ago. I think they are for the HSBC Women's champions golf event.